Have you ever wanted to group your customers by one or another factor? To know where they do come from? Grouping users have many benefits, you can make reports what users from what country buy most, or maybe based on their location to offer them something special? This module will help you do this. 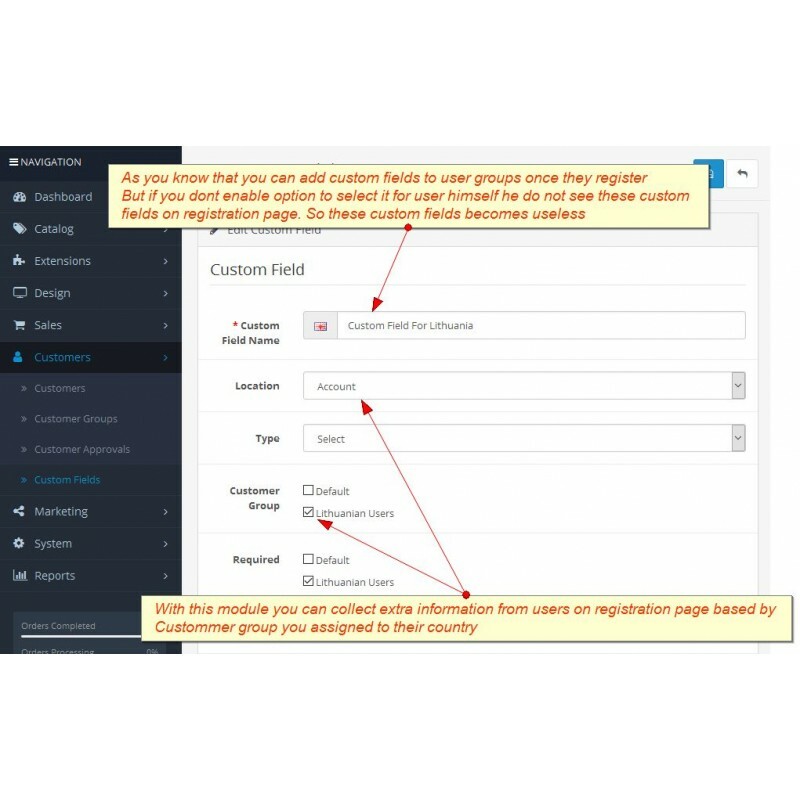 It will assign customers coming to your store from one or another country to predefined customer group Instantly even without registration. So visitors instantly will see prices set for their country group (no need to login in order to see it). 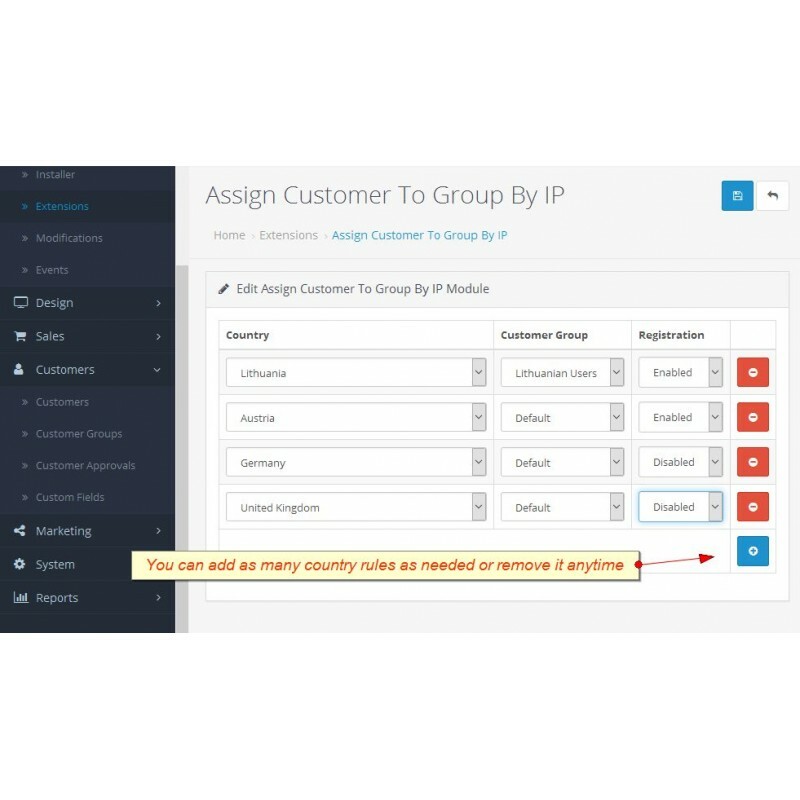 All you have is to select in a module user country and assign a group where you want all users coming from that country to be assigned. Once they register they also will be registered to this group. If needed you can disable registration for specified countries at all. So once user visit your website he will be automatically assigned to the group you predefined in module settings. That will allow you to sell / show instantly in different countries with different conditions. You can set different prices, coupons, registration fields and many more things what allows you to do customer groups. PS: that's not all, you can predefined custom fields to these groups and based on this collect extra individual information based by countries (on registration page). User can also checkout as a guest with the very same privileges of assigned customer group to a country. This is a must to have extension for store owners who want to be more flexible for customers from different countries.